Google Update On April 4th? If So, A Small One. Home > Google News > Google Updates > Small Google Algorithm Update On April 4th? 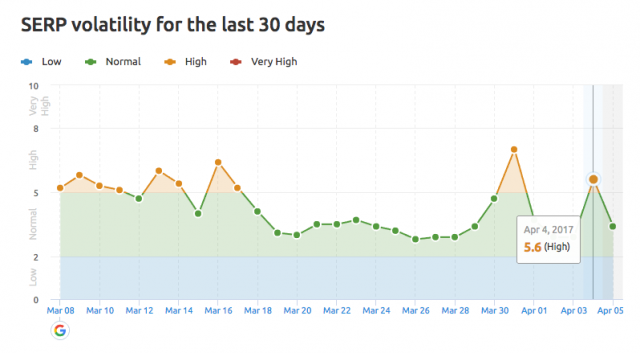 Small Google Algorithm Update On April 4th? 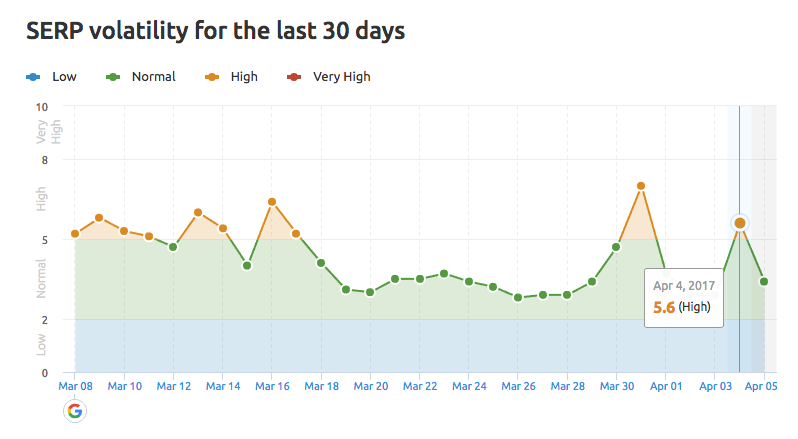 Over the past 24 hours, I've been tracking what I would call mild chatter in the SEO community around a potential Google algorithm ranking update on April 4th. I would categorize this at best as a small update, in terms of what SEOs are at least chatting about. I am seeing some weakness in traffic yesterday and this morning. Is this the start of the monthly update? For a while now my website has been ranking at position 1-3 for multiple keywords. Last night, about 10~ hours ago everything dropped to 'not found in the first 200' for all main keywords except for one. Seems they are tweaking FRED, some of the pages I haven't adjusted yet got hit. Well, they others are doing fine. @badams @SERPWoo Seeing some shifts also. @danielbianchini @badams @SERPWoo We saw huge movement across a few clients yesterday. @rustybrick are you seeing anymore complaints about ranking changes? Saw even larger movements on the 4th. Personally, I do not think this is Google Fred related or any of the animals but what do I know. So something did happen but again, SEOs for the most part didn't take that much notice.